Now is the time to start planning for fall Bible classes. 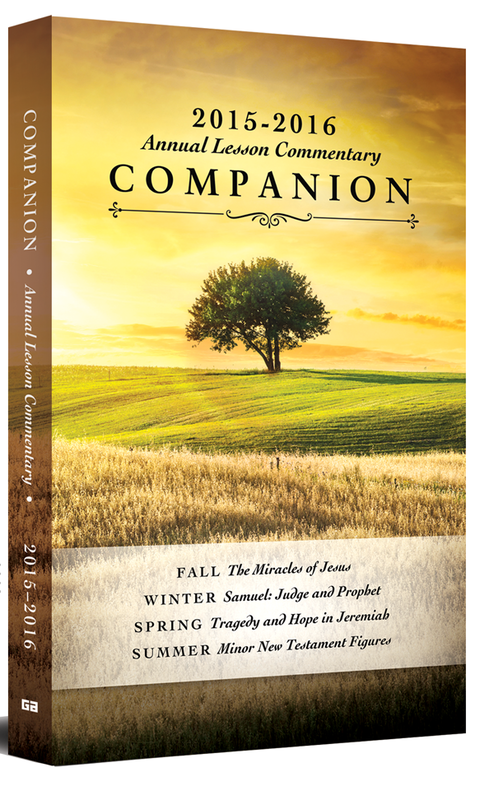 Gospel Advocate’s Companion is the perfect tool for teachers and serious Bible students. It covers the same lesson material as Gospel Advocate’s popular adult quarterly Foundations, with more in-depth insights and aids for the teacher. The fall 2015 quarter begins by looking at the miracles of Jesus; winter has a discussion of Samuel, the judge and prophet. Spring’s topic is “Tragedy and Hope in Jeremiah,” and summer will have a topical study of minor New Testament figures. Order from our website at www.gospeladvocate.com or call 1-800-251-8446.